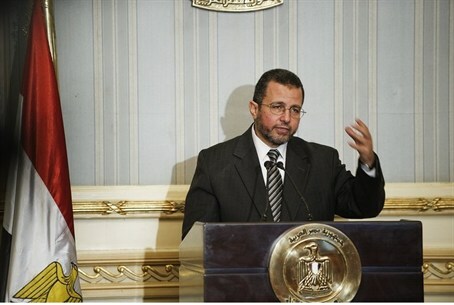 Egyptian police arrest Hisham Qandil, former prime minister who served Morsi, as he tries to flee to Sudan. Egyptian police have arrested the former prime minister who served under ousted President Mohammed Morsi, the BBC reports. The local interior ministry said Hisham Qandil was caught in a mountainous area with smugglers trying to flee to Sudan. Qandil was sentenced to a year in prison while in office for not carrying out a court ruling to renationalize a company that was privatized in 1996, noted the BBC. A Cairo appeals court upheld the sentence in September, two months after the military overthrew Morsi. Qandil represented an alliance of pro-Morsi Islamist groups in meetings with European Union mediators, who tried to persuade the military-installed interim government to launch a fully inclusive transition process that included the Muslim Brotherhood. However, he kept a low profile after the authorities launched a fierce crackdown on the Brotherhood in August, in which hundreds of people have been killed and thousands detained. Qandil, who became Egypt's youngest prime minister since 1954 in August of 2012, is not a member of the Brotherhood or any other Islamist political organization, but is said to be religious. Since July 3, when Morsi was ousted, Egypt’s interim authorities have rounded up some 2,000 Islamists, including most of the leadership of the Muslim Brotherhood.